Tilikum, the famous bull orca believed to have killed several people throughout his life in captivity, died on Friday at the age of 36 at his enclosure in SeaWorld Orlando, Florida. The whale was featured in the 2013 documentary, Blackfish. “While today is a difficult day for the SeaWorld family, it’s important to remember that Tilikum lived a long and enriching life while at SeaWorld and inspired millions of people to care about this amazing species,” read the SeaWorld statement. 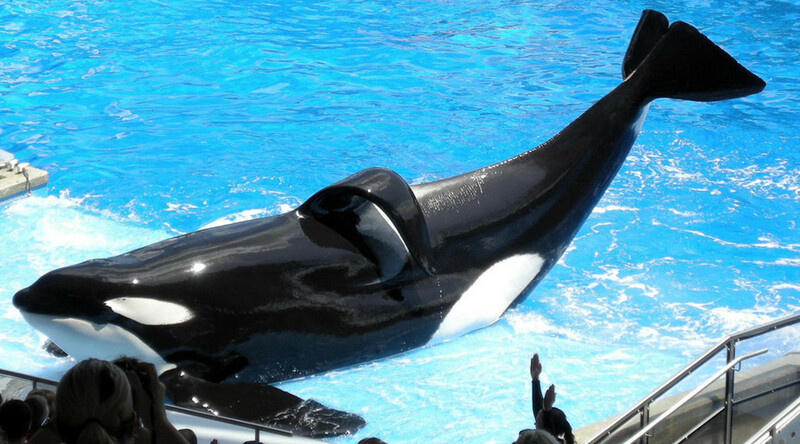 Tilikum inspired the 2013 documentary ‘Blackfish’ which covered the killer whale’s life in captivity and involvement in the deaths of three people. The film focused on the trauma suffered by animals in captivity and the pressures of a running a multi-billion dollar park. Following a backlash over the documentary, SeaWorld said it suffered an 84 percent drop in net income, due to what they called“brand challenges”. Tilikum was captured in 1983 when he was two years old near Reykjavik, Iceland, where he stayed for a year in a tank at a marine zoo before being transferred to the now-closed ‘Sealand of the Pacific’ aquarium in British Columbia, Canada. Tilikum first killed a trainer in 1991 while he was still housed in the Canadian park. Keltie Byrne, a 21-year-old marine biology student and competitive swimmer was working at Sealand as a part-time trainer when she slipped into Tilikum’s pool, which also contained two female orcas. Visitors watched in horror as the three orcas submerged her under water and dragged her around the pool until she drowned. Afterward, the park was shut down and Tilikum was relocated to SeaWorld Orlando in Florida. In 1999, a 27-year-old man was found dead on Tilikum’s back. He had hidden in the park until it closed before entering the tank. While an autopsy found multiple wounds that were caused by Tilikum, drowning was determined as the cause of death. Experienced SeaWorld trainer Dawn Brancheau, 40, who had worked closely with Tilikum, was killed by the whale in 2010. Her death was ruled a result of drowning and blunt force trauma. “While we all experienced profound sadness about that loss, we continued to offer Tilikum the best care possible, each and every day, from the country’s leading experts in marine mammals,” the statement continued. Tilikum fathered 21 offspring in captivity, 10 of which are still alive.